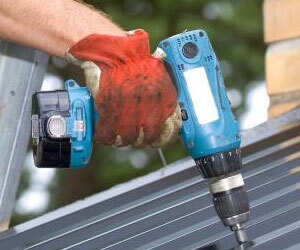 We use only the highest quality commercial roofing materials. The commercial roofing brands we use include GAF/ELK, the #1-selling brand in North America who supply some of the best and safest roofing materials. We also use CertainTeed's Integrity Roof System which is designed to provide optimum performance, no matter what the weather conditions are. Another fine product line that Wait Roofing and Seamless Gutters, Inc. use is from Eagle Roofing Products. We offer their "Green" building products such as; solar roofing, cool roof tile and energy saving roofs.